QUEENS — The musical void left by the reported closure of New York's last classical sheet music store is being filled by the Queens Library. The institution has built the city's largest collection of musical scores available to check out — a compilation that's gained importance since the Frank Music Company, on West 54th Street between Broadway and Eighth Avenue, closed earlier this month. “We have everything,” said Jane Montalto, 66, a librarian with a master’s degree in music from Queens College who has managed the collection for more than two decades. Aficionados coming to the library will find music for dozens of instruments, from piano and guitar to harp and ukulele. They can also browse through masterpieces by renowned composers, including the complete works of Chopin, Bach, Beethoven, Handel, Liszt, Mozart and Tchaikovsky. The collection also includes sheet music and lyrics to classical songs, operas, Broadway musicals, Disney movies and a large number of pieces by contemporary singers like Carrie Underwood and Rod Stewart. “It ranges from your simple popular music to your most advanced classical pianist,” Montalto said. 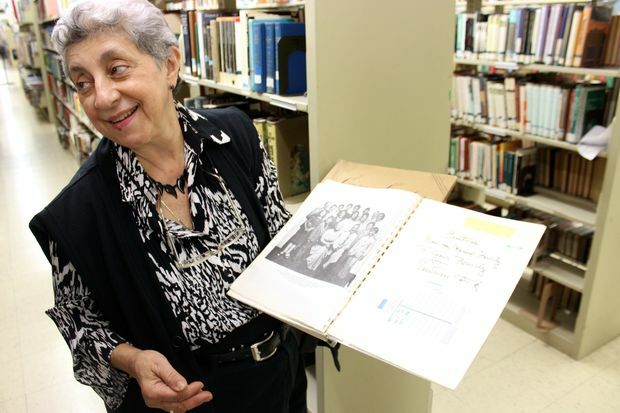 When Montalto first started working at the Queens Library in 1972, she said the collection, stored at the Central Branch in Jamaica, consisted of about 600 volumes. But it grew over the years and currently boasts about 88,000 items, taking up the entire wall in the branch’s Media Center and dozens of shelves on the library's lower level. Most items in the vast collection can be checked out, with the exception of less than 1,000 rare pieces which must be looked at on-site, the library said. As a comparison, The Brooklyn Public Library has about 18,000 scores in its circulating collection, and about 700 additional scores in its Orchestra Collection that are loaned to music organizations. And while The New York Public Library has about 210,000 scores and sheet music in its collection, only about 77,000 of them can be checked out. Montalto, whose mother, a music teacher, taught her how to play the piano when she was 7, said that to her, all items in the collection are priceless. Among the items that Montalto particularly cherishes is a collection of old English songs printed in 1900 and illustrated by “Cries of London,” a series of paintings by Francis Wheatley, as well as a signed copy of “The American Music Maker” featuring songs from The Lawrence Welk Show. Montalto said that the collection attracts composers, musicians, college professors, school teachers and conductors from various parts of the city and beyond. Russian conductor Arkady Leytush and N’kenge, who stars in “Motown the Musical,” have been among library users who checked out items from the collection, Montalto said. Rhea Arkin, a Queens-based musician and accompanist for singing classes, said she uses the collection several times a year when she needs scores for musicals, or when she looks for gospel, jazz or opera arias for her students. Central Library is located at 89-11 Merrick Blvd. in Jamaica. Scores can be checked out with a Queens Library Card for 21 days and renewed three times.